We spent Sunday putting summer away. This wasn’t the plan, it just sort of happened. I headed out to the front of the house to trim the bushes so the trick-or-treaters had a nice clean path. T came out and helped me clean up the branches and sweep the sidewalk. We weeded and sadly pulled up flowers that weren’t going to make it through the impending frost. When we were done there we moved to the back. This is part of preparing for an Unhurried Christmas. 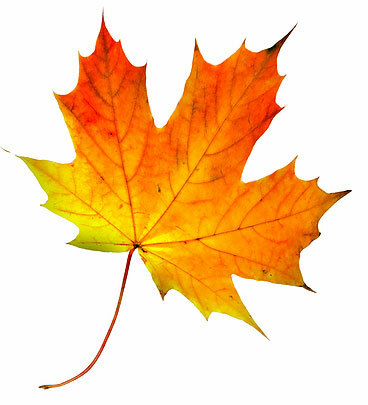 We used our mighty new leaf blower to send the leaves back to the forest as I cut back plants and emptied pots. 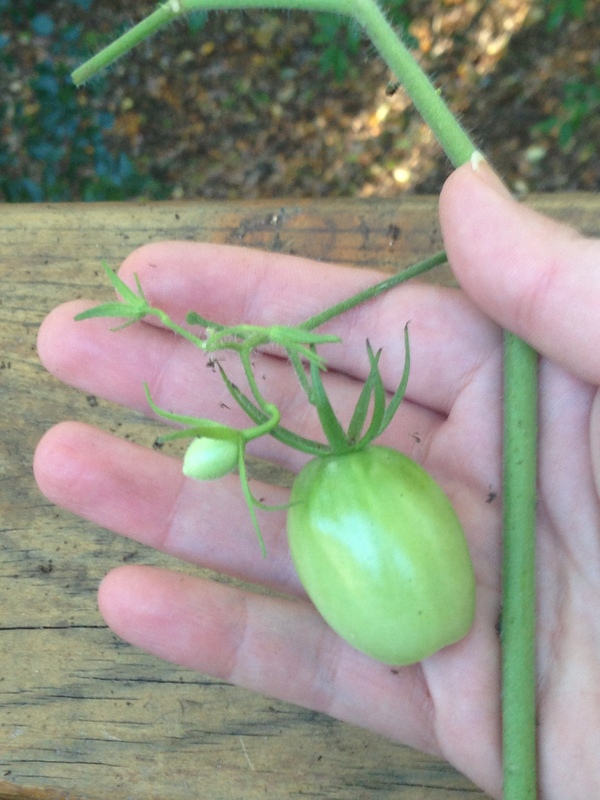 This tomato plant (Juliet Roma) has had no concept of size or season the whole time she has been growing. We haven’t been able to reach the top of it since July. It is easily 9 feet tall. 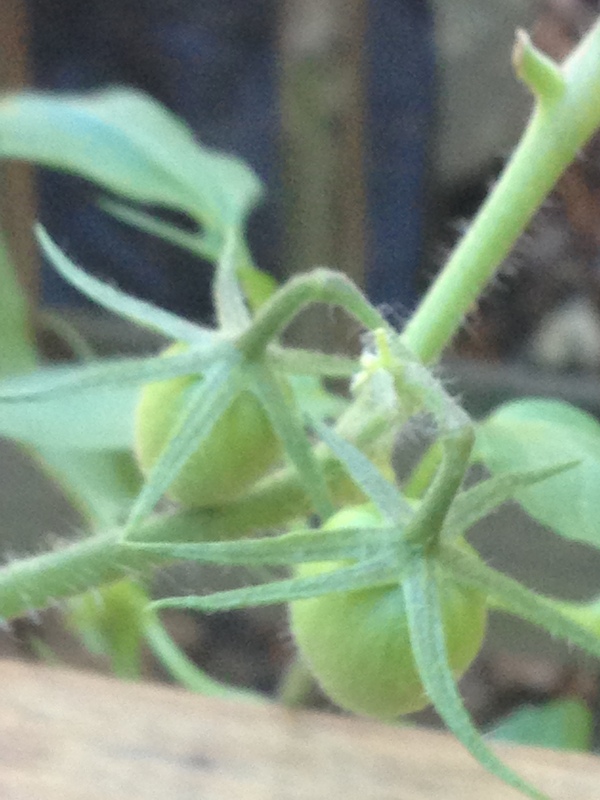 There are still THIRTY-TWO tomatoes on the vines. Far be it from me to get in the way of her overachievement; I gave it a big drink of water and left it right where it was. Those little nuts were trying their hardest to become trees. T looked at me like I was the little nut when I said I couldn’t kill the little trees. You have to honor something that is trying that hard to fulfill their purpose. 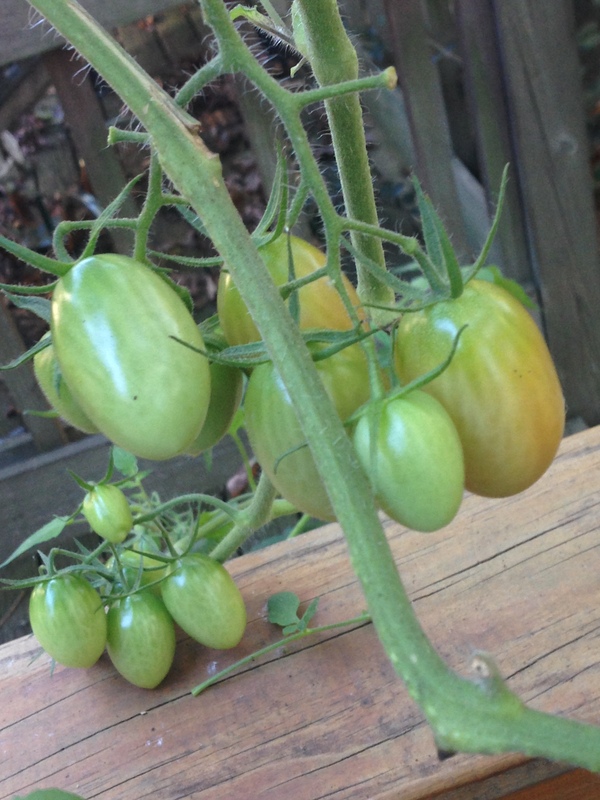 They had already survived squirrels and chipmunks and a harrowing journey from the tree tops to the ground. 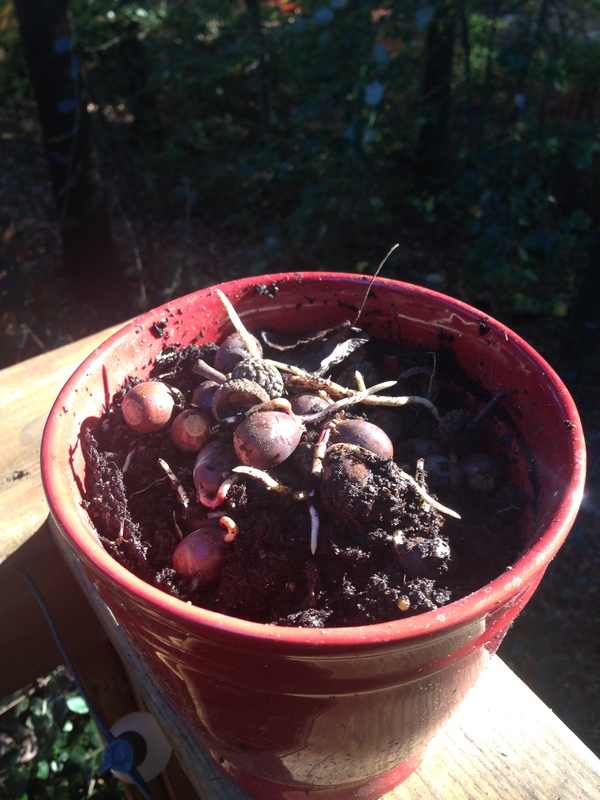 I couldn’t just uproot them. So I planted 36 of them in this pot. 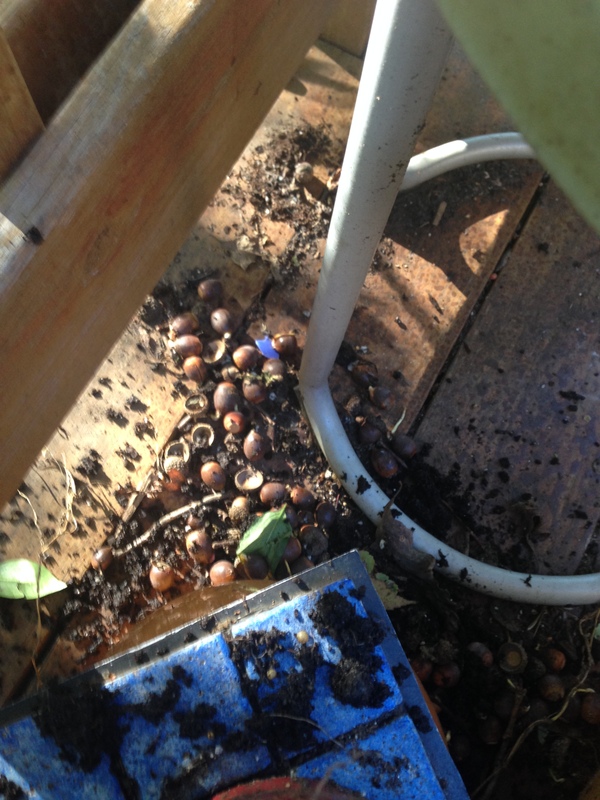 That is all of the acorns already rooting in my other plants and between the slats of the deck. 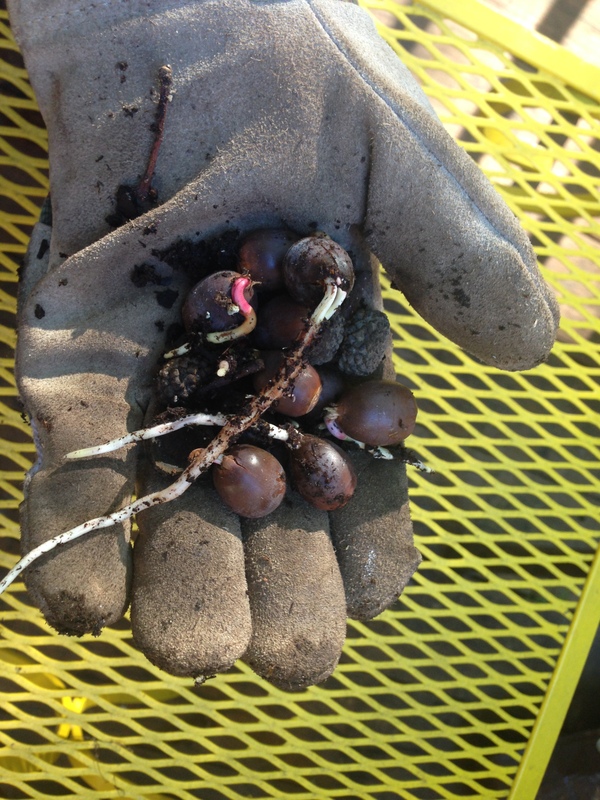 My plan is to plant any of them that become saplings in the spring. Now I am kind of rooting for them to grow. In the end, the deck was clean, the planters were set to rest, our birdfeeder was full, the woodpile was covered and you know what? We are ready. We are ready to settle in, slow down and enjoy another Unhurried Christmas. I really hope you will join us! Roast at 400 degrees for 35 minutes. Sprinkle with salt and pepper and serve! You can flip the squash midway through, but I didn’t. We couldn’t get enough!